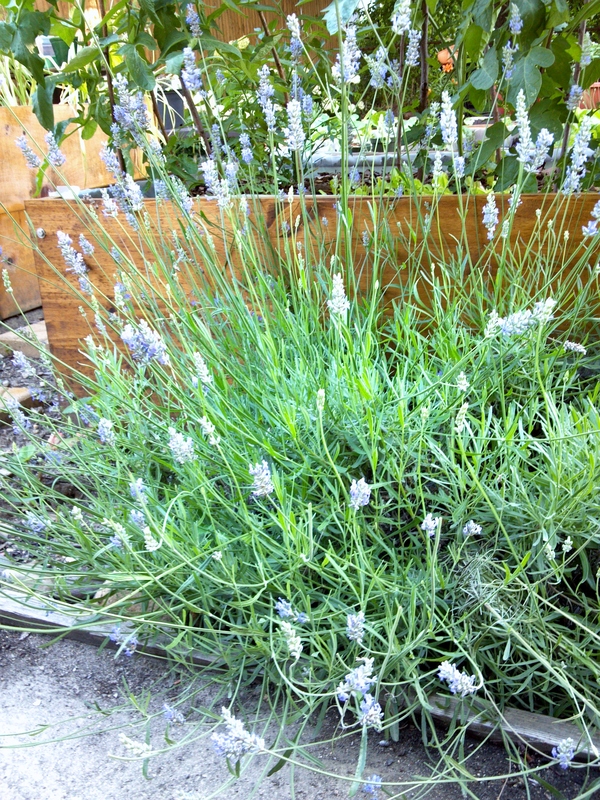 Lavender is in full bloom! The bees seem intoxicated by it and I have to admit that I have to pause and take a deep breath every time I catch its scent. I knew that I wanted to use it in this week’s Studio 26 treat and I found some great recipes online. I have been especially intrigued by the idea of chocolate treats laced with lavender, but today is day one of our first heat wave. The oven is not coming on today, and neither is the stove, so the chocolate will have to wait until this heat breaks. I did find this promising raw recipe, but I’m afraid it won’t hold up for my morning commute in this weather. Instead, I decided to make lavender iced tea. I’ve made chamomile lavender tea. Both herbs are soothing, and this tea does soothe. It’s especially helpful before bed! I thought mint would make a nice addition, making it a little more lively and refreshing for the good folks at the gym. 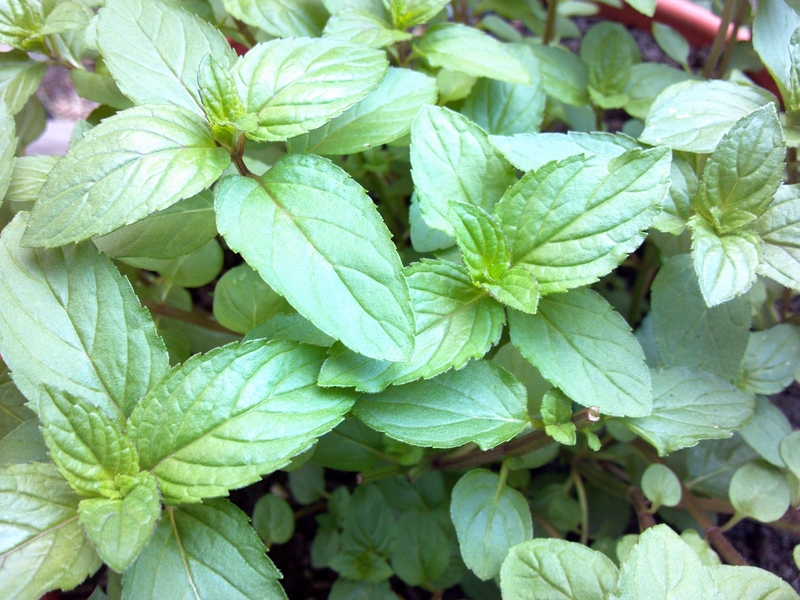 Then I remembered that I have a bounty of chocolate mint, practically bursting from its pot in the garden. I guess we are having chocolate and lavender after all! This is a big batch, but in weather like this, it won’t last long! In a large jug (or whatever you have), combine all of the ingredients. Refrigerate overnight. 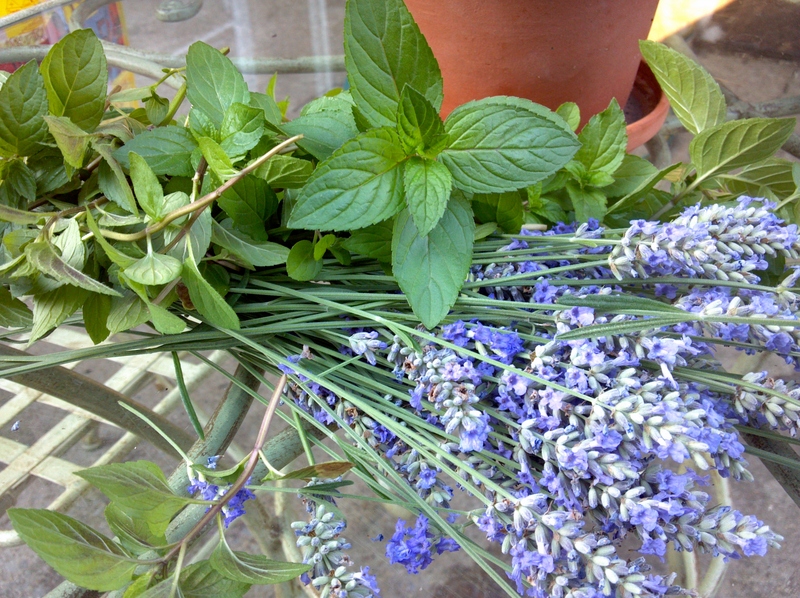 Strain before serving and garnish with some more lavender flowers and mint leaves. Serve over ice.